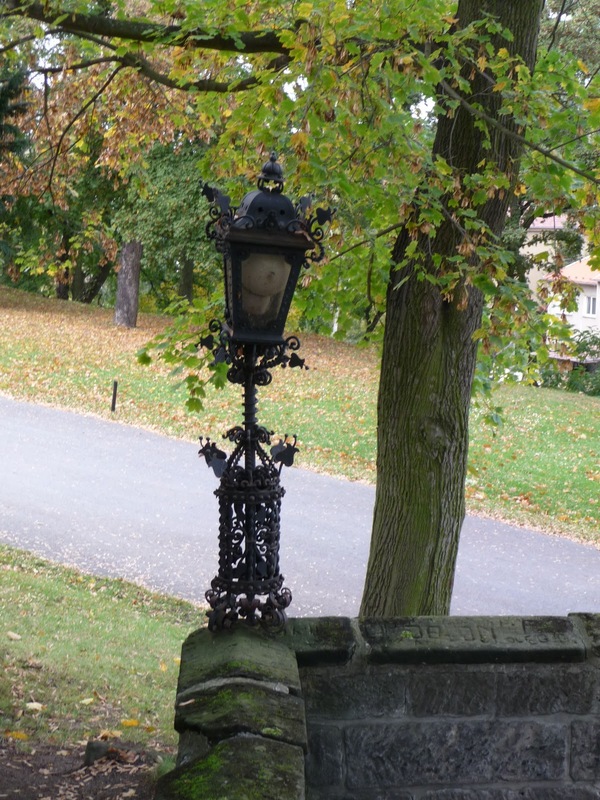 The antiques business is one that is constantly changing--dealers never conquer it--let alone even figure it out. Dear Husbola and I are no different. Just for fun and I use the term very loosely-- as the New Year is almost upon us-I started to make a list of the antiques shops that we have sold in and no longer sell in. It is quite a list--actually it is quite a long list. We have been involved in the selling antiques since 1989. Shops can be good shops-but they might not be a good fit for a particular dealer and their style of merchandise. Road projects can kill a shop. Letting in reproductions and crafts can kill a shop faster than a cancer. Good dealers retire and are hard or impossible to replace. Shows are the same way. Shops can go out of business in a flash--and shows can just fade away. Where are we now? Happily selling in Odana Antiques Mall in Madison and On The Square in Walworth. Our show selection is changing. One day shows are golden--but there are not many of those. We are selecting shows better with an eye to up front expenses and the best use of our time. This business can be great fun. Stocking shops and shows can be challenging and tiring--but it always keeps our interest. You just sometimes have to say good-bye to old friends. 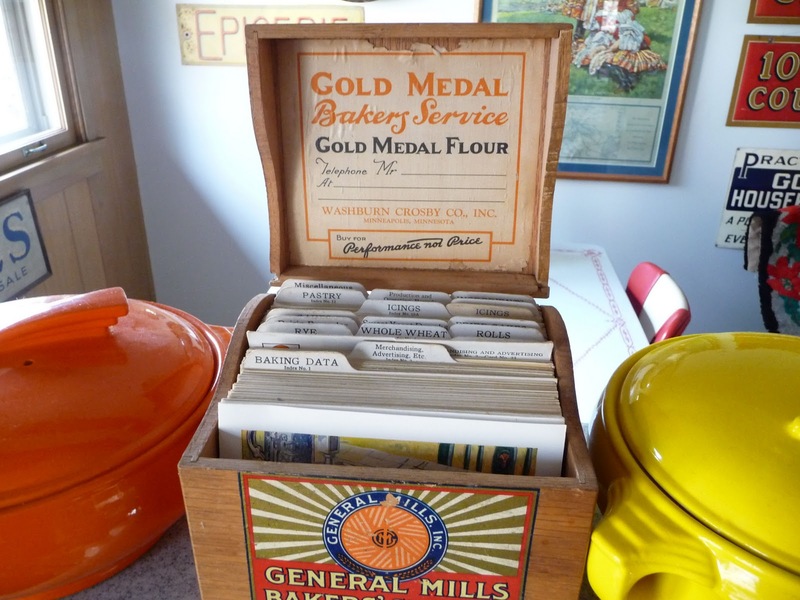 Regular readers to this blog know I love old recipe books. 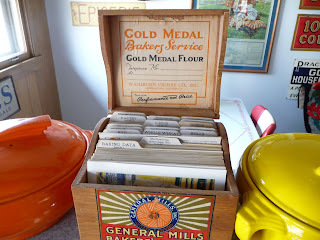 Even better are old recipe boxes. To me, leafing through a collection of vintage recipes is much better than browsing an old photo album. 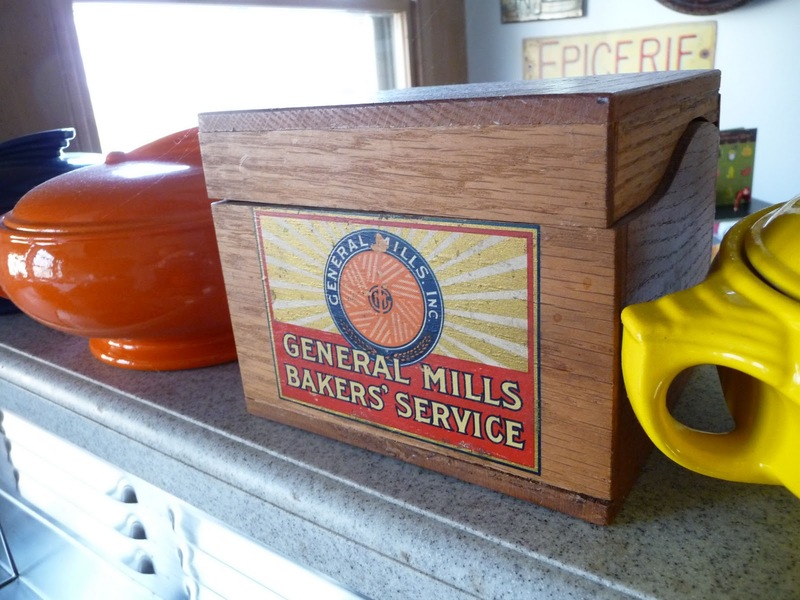 Our kitchen is a collection of mid century vintage--mostly items from the 1920s-50s. We bought a house with a built in 1951 stainless steel Chambers stove and a similarly aged Hotpoint refrigerator. The frig has gone to Icebox Heaven--but the Chambers keeps on chugging along. On the shelf behind this workhorse sits one of my prize keeper finds--a 1930s General Mills Bakers' Service recipe box--stuffed with the original recipe cards. I found this treasure in an antique shop in Sandwich Illinois--and it is as fascinating as any vintage history book. This box is in fabulous condition with the original decals and contains a couple hundred cards of the most fabulous recipes and tips that would benefit commercial operations. There are several score of rye bread recipes (Milwaukee Rye bread, rye pretzels, Jewish rye and raisin rye) How about a piece of prune rye bread? Are you interested in tips for "Dough Control in Winter Months"? or "Fighting Mold in Bakery Products?" A particularly quaint recipe can be found in Index 10, Card No. 27 "Indians or Brownies." Not so politically correct, but oh what a recipe. Now remember--this is for a bakery--so you have to start with an 18 by 25 inch pan. It is 1930 all over again.